"It gives Dell the freedom to invest in long-term growth"
Why does a company go public? To raise a huge corpus of capital required for its growth. But that capital comes with its own risks. Once a company issues shares and gets listed, the prime objective of the top management is to nudge its stock price upwards. This forces it to take sub-optimal, short-term growth oriented decisions in order to add value for the shareholders, and to get every quarter's results better than the previous one. By going private, Dell can stop worrying about stock performance and save the dividends to invest in future growth opportunities. Owing to the latest technologies and the proliferation of smartphones, the PC market has been shrinking for the last few years. 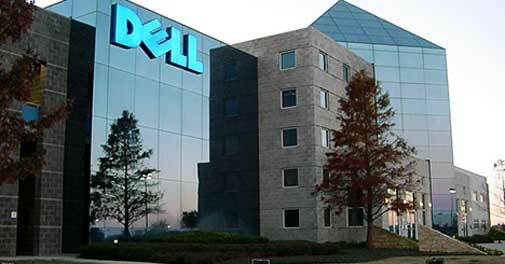 The revenues from Dell's PC segment have gradually reduced from 61 per cent of the total in 2008 to 54 per cent now. Following the downtrend in the PC market, Dell has ventured into other business areas such as servers, services and software and peripherals. It has made several acquisitions to quickly expand. But Michael Dell faced opposition to this strategy from public investors who felt Dell was investing in risky and unrelated business areas. In a public company, any investment decision is subject to burdensome reporting practices and time-consuming processes. In a private company, one has the freedom to invest in long-term growth opportunities. Private companies are nimble on their feet. As long as Dell can borrow capital on its own asset base, there is no necessity to go public. "Unless it cuts costs, going private is not going to save Dell"
The transition from 1988, when Michael Dell believed in the capitalistic principle of separating ownership and control, to 2013, when he maintains going private is better for long-term benefi ts, is a refl ection of Dell's incompetence. Why does it need a buy-out for the management to do what it takes? Michael Dell, who argues against publicly held companies, made the decision to go private based on Dell Inc's short-term stock performance. What do you do when the public does not buy into your strategy of going the IBM way - moving away from low-priced PCs and concentrating on higher-margin services? Apparently, for Dell, it is, 'Blame the public and go private'. Is he hinting that privately held companies are more effi cient? Is the concept of investing society's capital in stocks and shares meaningless? In fact, in Dell's case, the market was very much long-term focused, which is why the Dell stock fl oated at $13.50 in January 2013, higher than the predicted price of less than $12. Yes, public companies do have certain downsides because of their responsibilities to shareholders, but taking Dell private is only going to limit its options of acquiring companies for future expansions. Though Dell can buy some time by going private, that's all it can do. It needs steady cash fl ow to pay off all its debts and loans. Unless it cut costs, going private is not going to save Dell in the lacklustre PC and storage market.